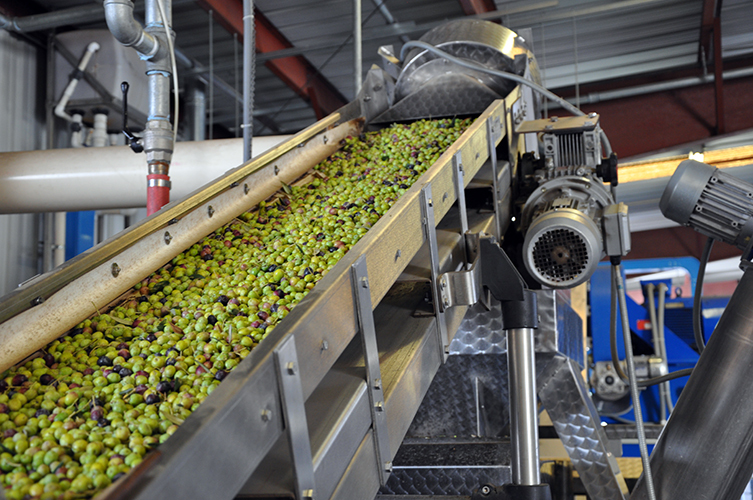 On this episode of Valley’s Gold, host Ryan Jacobsen is im-pressed with the expanding olive industry in the Valley. First, diversified grower, Pat Ricchiuti of P-R Farms takes Ryan on a tour of his vast orchards where a labor-intensive harvest for table olives is in full swing. While this fruit is quite bitter fresh from the tree, UC Master Gardener, Marie Antoniou shows Ryan some chemical-free and traditional ways to prepare both green and black olives in the Valley’s Gold kitchen. This is followed by a visit to the Bari Olive Oil Company in Madera where Ryan experiences the journey of an olive destined for oil; from mechanical harvesting to the bottle. Owner, Kyle Sawatzky gives Ryan a masterful sampling of Bari’s finest products in their public tasting room. Whether home-grown the old Greek way or straight from the shelf at Bella Fruta, ALL of these Olives are another part of our Valley’s Gold. Hardworking cousins of the lilac and privet, the olive tree produces the fruit needed for olive oil. 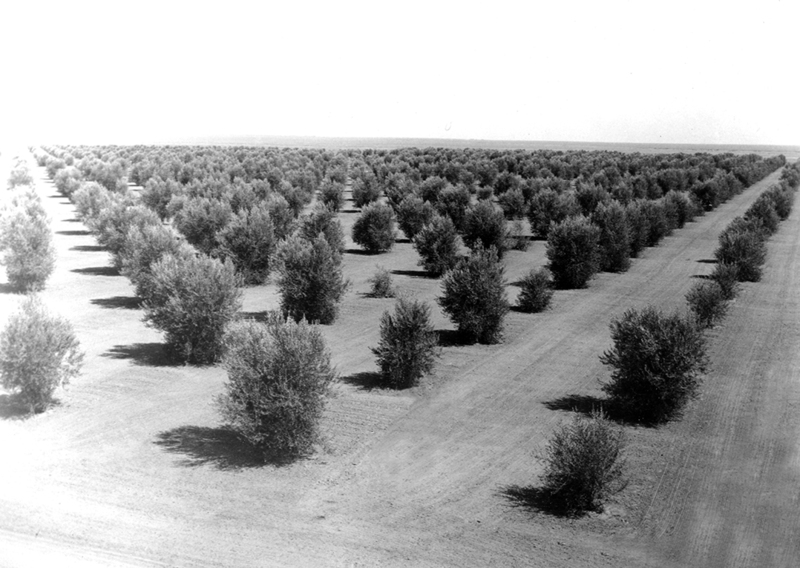 Some olive trees can live more than 1,000 years. This longevity occurs in the Mediterranean where climate conditions meet the strict requirements of the olive tree. The conditions needed include a hot growing season, yet the tree needs a winter period of temperatures between 35 and 60 degrees Fahrenheit. In the United States, only California, Texas and Arizona have the necessary growing conditions. Olea europaea, the scientific name for this tree, comes from the Latin name for the tree, olea, and europaea meaning “of Europe.” The olive tree family includes lilac, forsythia, jasmine and privet. More than 900 varieties of olive tree exist, and the best olive oil is produced by planting a variety of olive trees in a field and harvesting and pressing all the olives together. The tree starts bearing fruit at around 5 years of age. The trees require pruning so that sunlight can reach all parts of the tree. Undertake pruning with care, though, since fruit develops on last year’s growth. Olives right off the tree have a bitter taste. 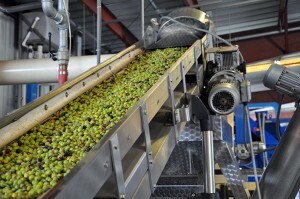 Producers soak olives in a water or brine solution, then a lye solution and give them a final rinse to remove bitterness. The olives processed in the Mediterranean often have a more bitter taste than those processed in California. 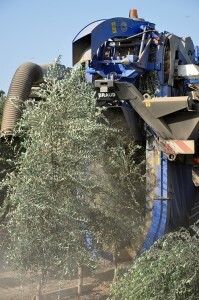 The olive tree is one of the oldest cultivated plants. Olives were one of the seven species found in Israel in Biblical times (as mentioned in Deuteronomy 8:8). They are also mentioned many times in Ancient Greek literature. According to Greek myth, the olive tree was a gift from the goddess Athena to the city of Athens. This sacred olive tree lived in the Erechtheum, a temple on the Acropolis. The olive tree is an evergreen tree or shrub with silvery-green, oblong leaves. It can grow up to 50 feet tall, but can be kept pruned to a more moderate height of about 20 feet for easier harvesting. The fruit of the olive tree is a drupe (the flesh surrounds the stone, which itself surrounds the seed), and some varieties can grow to an inch long. The fruit varies in color from green to purple to black, depending on the variety, when it is harvested and how it is processed.